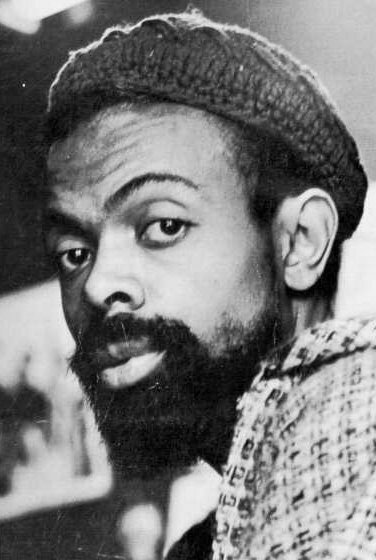 During the black arts movement, Amiri Baraka became a leading figure, a widely published poet and essayist as well as a revered public speaker and political activist. Many observers highlight Baraka's turn to a more politicized approach to artistic thought and production in 1965 shortly after Malcolm X was killed. In some respects, Baraka seemed to step into an important void--a hole left open with the tragic death of a black nationalist and radical charismatic figure. Can you imagine that--a poet flanked by bodyguards as he gave his readings? What was a poet saying and doing to require that kind of protection? As Johnson's comments suggest, Baraka's poetry and modes of delivery (verbal and non-verbal) captured the imaginations of audiences. Perhaps part of what made Baraka such an important and consequential black arts poet was that he was viewed as something other than a poet.